Huddle Up for Healthy Hearts a Success! The Huddle Up For Healthy Hearts event kicked off at Navy Memorial Stadium on Wednesday, April 10th, 2013 in Annapolis, MD with an impressive roster. 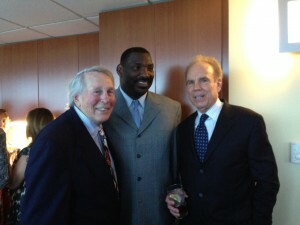 Super Bowl MVPs Roger Staubach and Doug Williams took to the field once again, only this time leaving the decades long Redskins-Cowboys rivalry on the sidelines. 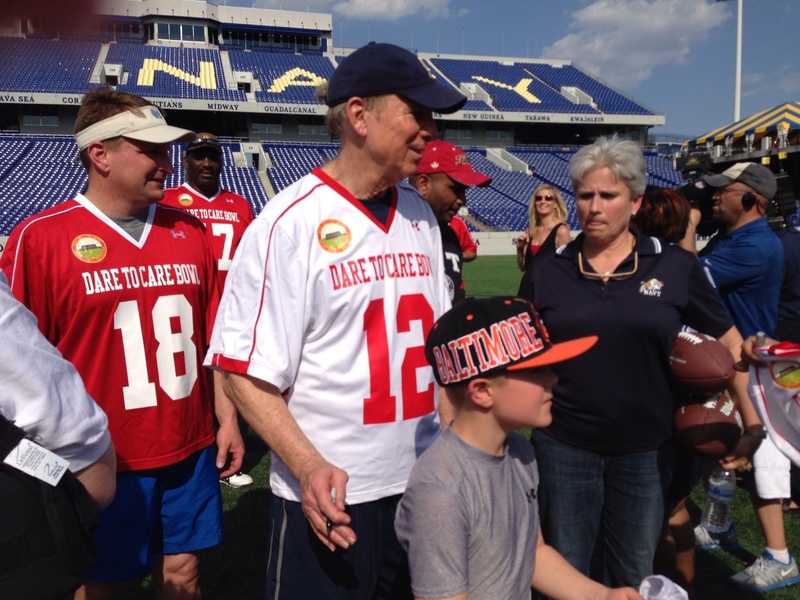 The long time Heart Health Foundation supporters were joined by one of Roger Staubach’s old teammates at Navy, Michael Orr, as they played flag football with teams comprised of local hero’s — those that have joined together in the fight to raise awareness, and detect vascular disease early on. 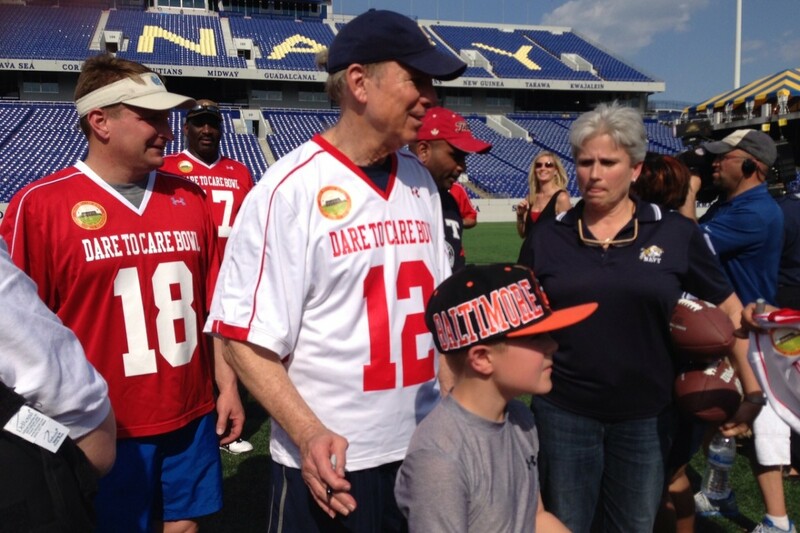 The inaugural game, which concluded with the Cowboys defeating the Redskins 30-18 (if you’re keeping score) was followed by a VIP Meet and Greet and Silent Auction where baseball great Brooks Robinson dropped by. Items auctioned off ranged from goods donated by local vendors such as Cleo’s Fine Oils and Vinegars to sports memoribilia signed by the living legends. All proceeds were donated to the Annapolis based Heart Health Foundation (HHF), which is a non-profit organization that is committed to providing free screenings to educate, detect, and prevent vascular disease. Since it’s conception, the HHF has provided over 40,000 free screenings nationwide, saving countless lives in the process. Maryland State Senator John Astle (D), put it best with his personal mantra of “You screen to be clean.” Just one week after the Senator had run a 10K, he went in for a screening with Dr. Martin and immediately went into surgery to prevent what could have been a life threatening stroke. Senator Astle, now healthy due to early detection serves on the HHF Board of Director’s along with Dr. John Martin and several other talented individuals dedicated to saving lives. For more coverage on the event, click here.